Complete your romantic night with the "Lovin' Bundle!" We've prepared this for special occassions such as Valentine's Day, an anniversary, or a romantic night out. What more could you need than a bundle of rose petals, chocolates, and some sweet candles? 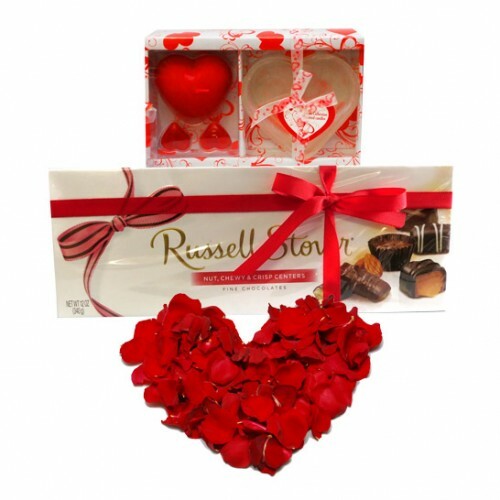 Included are rose petals, one box of Russell Stover chocolates, one box of heart candles, and two single candles.